BSP workers demonstrated protest against Akhilesh Yadav for renaming Ambedker Green Belt in Vyom Khand of Gomti Nagar,Lucknow to Janeshwar Mishra Park . SP government on the contrary blamed the previous BSP government leaders of grabbing Government land for personal benefit , in the name of park and also declared it is no way going to bow down to protests . 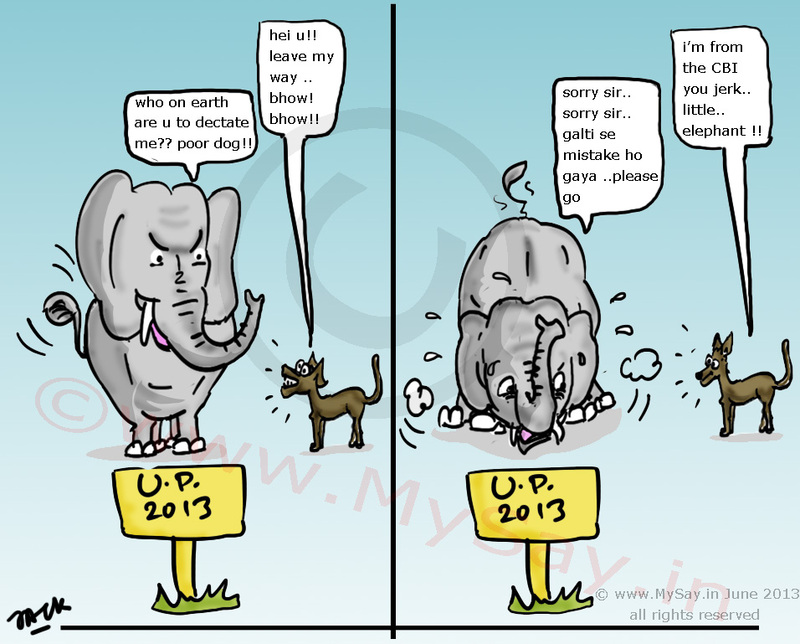 Who Will Win In Uttar Pradesh ? Anticipations of SP winning with majority and probable alliance opportunities amongst the Big Parties to form government has been flooding news channels and sites. It is a noticeable fact that all the major parties have been blaming each other for something or the other , in their respective speeches during campaigning. Now it would be noteworthy if parties join hands to form government, as clear win for any party seems still doubtful, so far! Well, no matter whosoever wins , all the major parties including Congress,BJP,SP and BSP have got opportunities in the past and none left the opportunities to dishearten the state. Votes in Uttar Pradesh are still divided on the basis of caste and religion and regardless the leaders be corrupt or inefficient they convince their voters either by blaming Central Government or by declaring corruption charges as conspiracy against them. It is not even the fault of voters,most of whom live in rural areas and are below or at par with poverty line. Literacy percent is still low and exposure to the outer world is very limited. In Uttar Pradesh, the major agenda should be development of the under-grown state and even the voters should think of benefits of the State as a whole and not just a community.